Why not try our selection box of the Gourmet Dips, there are three tasty flavours in each box. 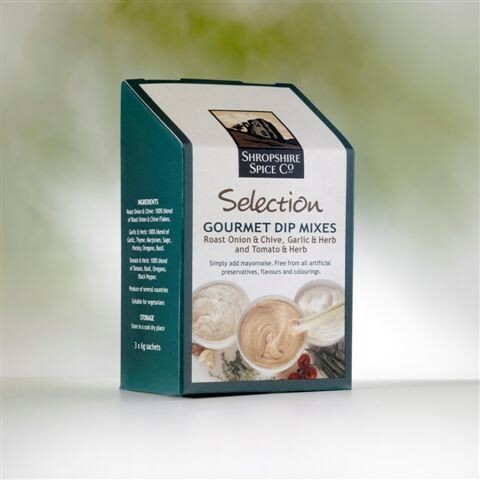 Selection Gourmet Dip Mixes are perfect to use with a choice of bread sticks, crisps or crudites. They can also be used as an alternative to salad dressings and savoury toppings.